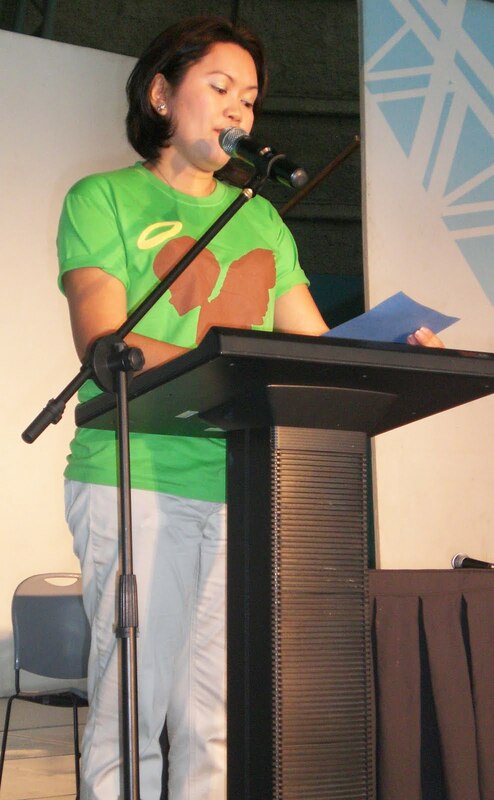 The Family Power Forum was held at SM Skydome, North EDSA, Quezon City, as part of the National Celebrations of the 15th Autism Consciousness Week : “Autismo Paghandaan: Maagap na Deteksyon at Interbensyon Isakatuparan”. 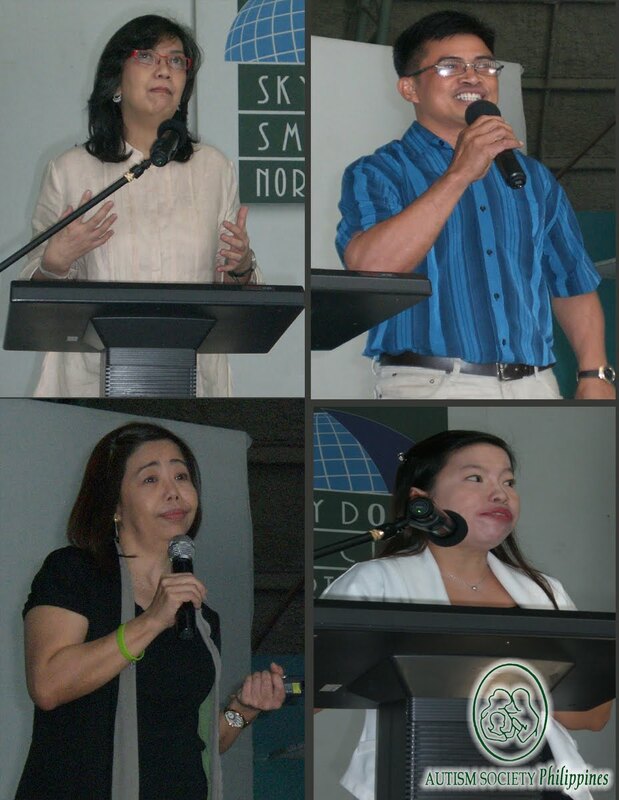 The event was in cooperation with SM Supermalls, SM Prime and SM Program on Disability Affairs. Two years ago, Ms. Chelo Banal-Formoso, mom to now 24 year-old PWA Gabriel, suggested to ASP Chair Emeritus, Dang Koe, about having a Public Forum for Parents of Children with Autism (CWA). Through the perspective of parents of older CWA, other new parents get to collect nuggets of wisdom from their experiences. “Today, ASP is very fortunate to have with us “super parents”. As they share their stories, please get ready with your tissue paper, as I am sure, no one in this room will leave without shedding a tear. Also prepare to laugh, as autism is not always seriousness, as you will learn later, that parents also find a sense of humor in the trials and travails. Lastly, prepare to be inspired, from their many colorful experiences in their journey of Sharing Hopes and Building Dreams,” said ASP National President, Grace Adviento, as she gave the welcoming remarks during the Family Power Forum. Joining Chelo were other parents, Chrissy Roa, former Vice President of ASP National, author of Federic’s Flight- documenting Fedi’s story from birth to early adolescence; Evert Malapad, Trustee and President of ASP Metro-South Chapter; who gave up a promising career abroad to care for daughter Mae-Mae and last but not the least, ASP’s most sought after speaker-trainer, Dang Koe, and mom to Gio, who propels her to be a passionate autism advocate. After the forum, some parents approached the mic to air their own concerns regarding their children’s behavior. One parent related on having two boys with different special needs, (one with Downs Syndrome, one with Autism) and their therapies can be financially draining on the family. Concerns of other parents ranged from dealing with their difficult behaviors; keeping girls with autism safe from unwanted advances or abuse; and public or alternative education for CWAs. The panelists were able to give practical tips and encouraged them to also seek professional advice from specialists. A single mom was very thankful for having found ASP, as she was searching to find answers to the “strange behaviors” of her two young boys, later diagnosed to have autism. “Nagpapasalamat ako sa ASP, dahil dito, nagkaroon ako ng pag-asa para sa aking mga anak.” She also found comfort from other parents and continues to equip herself with by attending ASP monthly seminars. This lady later becomes ASP UP-Camp Chapter President, Elizabeth Udquin. 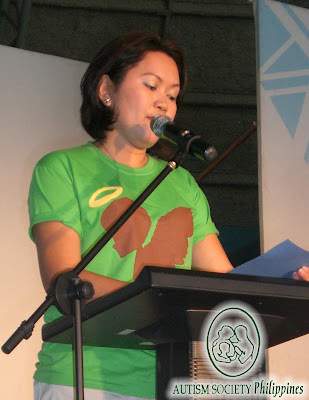 During one of the ASP events last year, Maricel had an unpleasant encounter. She was pinched again and again by a teen with autism, who had a huge crush on her. Having no idea on how to deal with the situation, she left the event crying and locked herself in the ladies room for hours. At first she was reluctant to volunteer again for ASP this year, but decided to come, after much prodding from her mom. She stayed all through-out the Family Power Forum and also joined the Free Seminar on Roles of Professionals in the Management of Children with Autism that afternoon. Maricel finally decided on her own to return to volunteer that Sunday for the Family Day Celebrations. Are you an Angel for Autism? Send us your stories on how autism has touched your life. Email us at autismphils@gmail.com. We would like to extend our sincerest thanks to our following sponsors: SM Prime, SM Cares, SM Program on Disability Affairs, SM City North EDSA, SM Skydome, SM City Fairview, SM Mall of Asia, The French Baker, Unilever RFM Ice Cream, Inc ,Transaxion Unlimited Corporation, Councilor Alfred Vargas, Ardex Motor Corporation, Long Life Bakery, Philippine Multimedia Systems, Inc. , Richard's Food Products, Pizza Pedrico's Food Corporation, GMA 7, Home Town Realty Developer,Inc., Palms Country Club, McDonalds, Rey & Peng So.